LOVE AT FIRST BITE: In depth look behind the documentary 125-Year-Old Market. A historical building turned 125-years-old in 2013 in York, Pa. The building itself is the unofficial center of the city that prides itself in diversity and being vintage. If you love local food, you will fall in love with the building. Some stand owners, who have been around for generations, have seen a steady decline of vendors. “It’s important to have a full market house,” said Jack Myers, co-owner of Myers Salads & Pastries. There are new vendors making their way into the market, like experimental incubators, while others introduce international cuisines. This mini documentary highlights the history, family and continuing growth in diversity. The York Daily Record (Pa.) is a news company that hired me as a full-time multimedia journalist and I produced my first mini documentary with them. The company was inspired by the Made in Donegal made in 2012. The documentary is about the local food movement in north west of Ireland. It comprised several students from Ohio University. 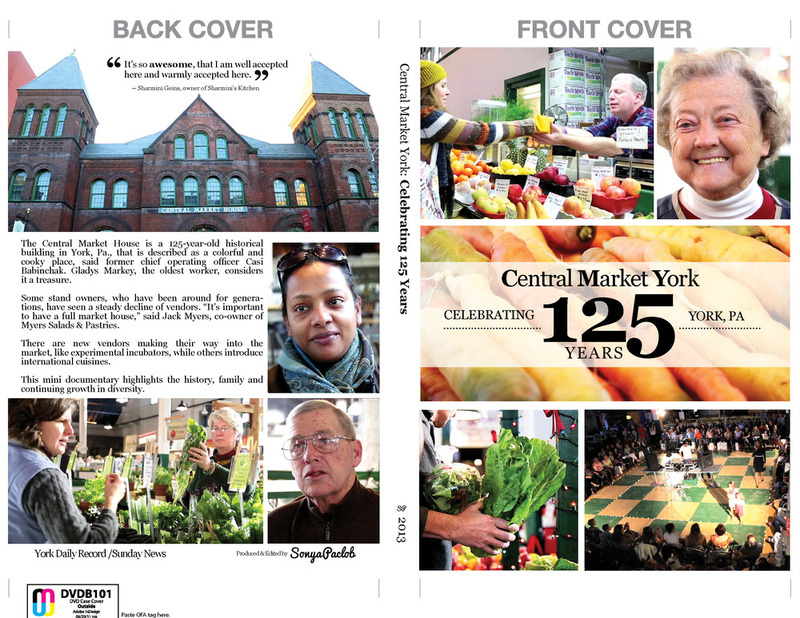 Continuing with the theme of local food culture, I was assigned to visual tell a story of the Central Market House York. It took two months of research. I visited the market on it's operating days - Tuesdays, Thursdays, and Saturdays. I sat overlooking off the balcony or eating variety of food to understand what makes a small town market house special to the locals. The story from start to finish was all directed, produced and edited by me. I had a help from editors and my coworker to give feed back and give a hand here and there. A Canon 5D Mark II and III were used during the production with a 24-105 mm lens. A tripod stabilized the shots and it was also used as a acting dolly. All interviewee were shot in the market house with natural lighting. Wireless microphones were used. 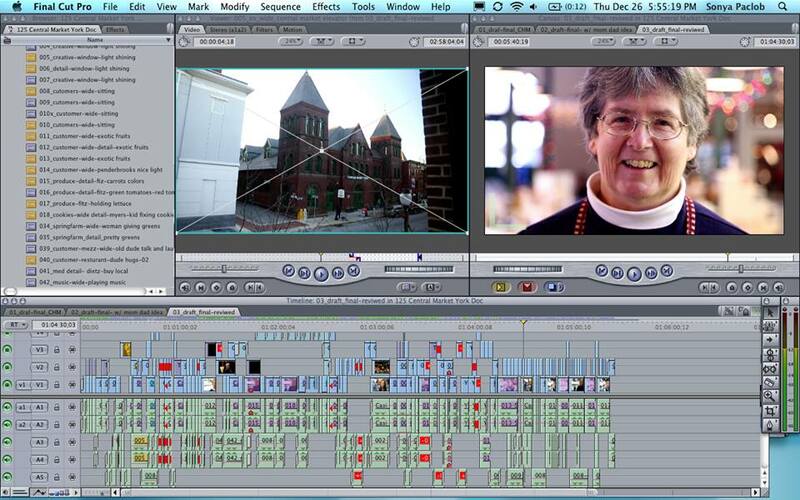 In post-production, their were 90 GB of footage as well as 25 pages of transcription. All was edited in Final Cut Pro 7. As an added bonus to the three characters into my story, I designed the CD label and cover as a keepsake. Many revisions were made. The best part about it is that Glady's love what I did so much that she would love to adopt me into her family.